The entry way was a quick fix! I added metal urchins to the existing saturated blue walls and some fun table accessories. You know the type, right? Funny, super nice and keeps amazing treasures buried in the bottom of her closet. Basically the dream client! 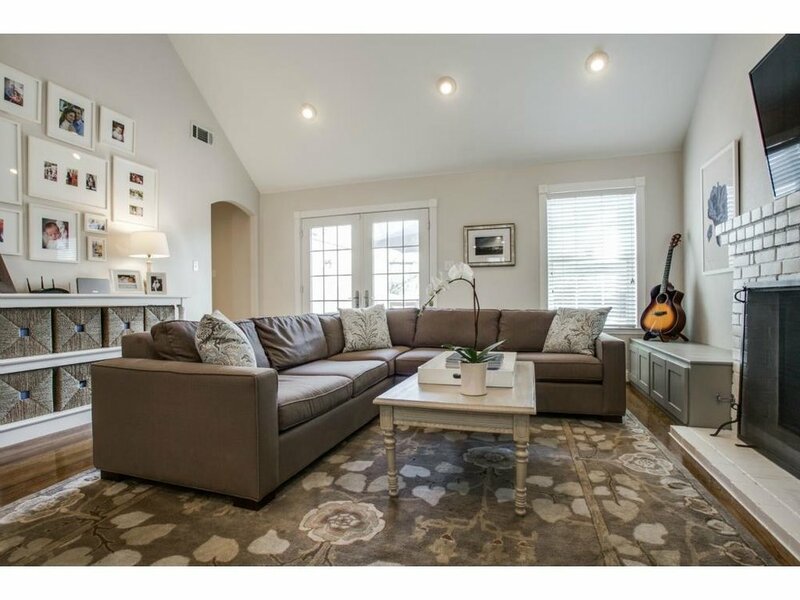 I met this awesome family through a past client so I was thrilled to get the opportunity to discuss their family room update which included the adjoining entry, dining room, sitting room and playroom. Their goals were to create a living space that could be used everyday for the family of 5 so it needed to be bullet proof but they also wanted it to be beautiful for entertaining friends. My heart leapt for joy when the next request was “but we don’t want it took like anyone else’s living room.” YES and DONE! The space is expansive with incredible vaulted ceilings. To create the cozy vibe they craved the scale of all the furniture has to be just right. Nothing elevated on legs but instead it needed to be visually grounding to bring the room down to size without a lot of visual clutter. Once we had the space laid out and furniture selections nailed down it was time to layer in the art which will forever be memorialized as the best meeting ever. The space has three main walls to consider for art but the fireplace created the biggest challenge as a focal point because the trim detail and height. The sizing of the art needed to be very specific. I also felt like it needed a lot of color and texture so that it could stand out against the fireplace’s strong architectural presence. I came to the art meeting with the idea to source a beautiful rug or tapestry to install in that spot… and she looked at me so nonchalantly and said “Oh I have two Tibetain prayer rugs in my closet.” Like…everyone has incredible treasures just tucked away! Trying to match her calm tone I said, “ok..well let’s see them,” but inside I was screaming “RUN, HURRY I WANT TO SEE!! !” Honestly, I couldn’t have asked for a more perfect fit for this space than this incredible rug. 1) it’s sentimental so it will bring them good memories while making the space more special 2) hello gorgeous color and pattern 3) it fits the space between the moulding PERFECTLY! It was ordained. She literally had this gorgeous Tibetan prayer rug in her closet!! Perfectly worn and sized to fit the space just right! Next up for art consideration was the area above the sofa. I wanted to create a special vignette here with the table and decorative accessories so we needed something that could nestle in nicely. It’s also eye level so I wanted it to be expressive of their lives and to act as a conversation starter. 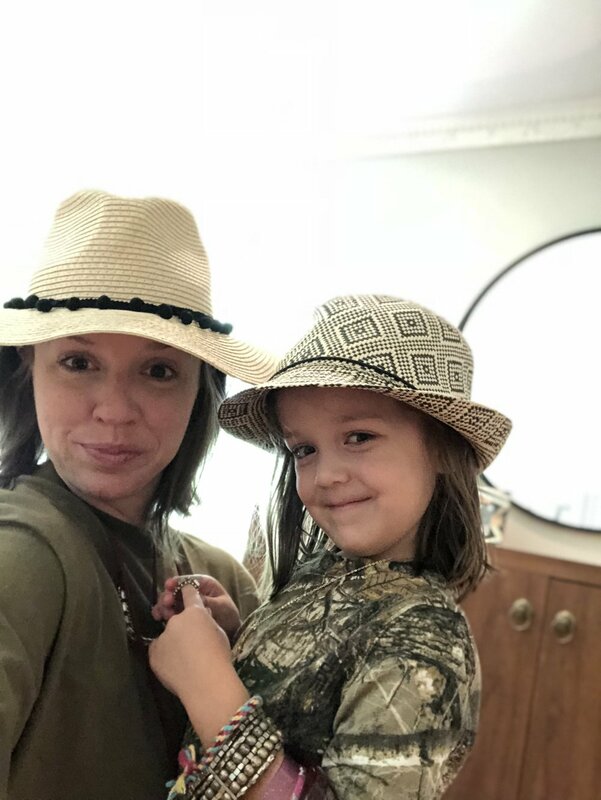 My thought was to source an interesting topographic map of the place they met or got engaged…and again she pulled the rabbit out of the hat. Hidden in her husband’s notebook was this beautifully colored antique topographic map. It’s like we were on some magic wavelength and shared a brain! The map had been folded for years, so I sent it to a restoration company and they made it look like new. Its contrasting orange and green colors create a special discovery point against all of the cool blue colors in the space. We had this topographic map restored and it couldn’t be more perfect. 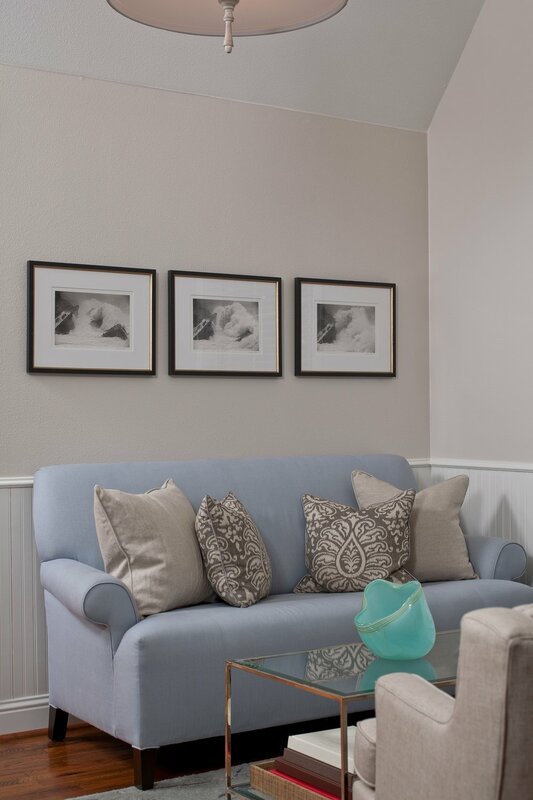 With the main details figured out for the family room it was time to turn attention to its adjoining spaces. Wouldn’t it be so boring if I told you the whole story now? I always like a good cliff hanger, so look out for installment Duex to see how the rest turned out! All photos courtesy of Andrew Slaton. This kitchen was years in the making. I first worked with this family on their living and dining rooms a few years ago. During the first meeting they showed me two vases they bought while traveling. One was super ornate and the other was sleek and modern. They explained that these items represent their individual design aesthetics and they needed help making them both work in their space! They also showed me their kitchen that was to be a future project, but man oh man did they hate it! Dark with an endless sea of popcorn ceiling, the kitchen just didn't function due to lack of storage and a wonky layout. But life happens and the big remodel took a back seat until the garbage disposal exploded, leaving them with stinky crumbling cabinets! Like a phoenix from the ashes arose this beauty and not only is it bright but it has way more functionality. I always start a kitchen remodel project with a deep dive into the existing space. What works? What doesn't? What types of dishes do you own and how many? Are you a master chef or a takeout king? With all of those notes I'll head back to the drawing board to layout the space. I always plan a home for every single thing the client owns so on move in day it all makes sense. For this space, there was no place for the brooms which means they always lived in of the corners (not exactly fancy... unless, of course you are a witch or something) and their pantry was WAY to deep which meant it was an abyss of errant snacks. So in reconfiguring the space I created a shallow cabinet along one wall with one side serving as a broom closet and the other as a snack/lunch making center! Now they can see exactly what they have and put that broom away when the mess is all cleared up. Oh hey there storage for days! Nice to know you! Kitchen space in an older home isn't always as abundant as we need in modern life. The original layout was very chopped up, had very little storage and nonexistent counter space. By moving the appliances to new homes, thoughtfully working through storage needs we created a gorgeous island and much better workflow. This island is a total work horse housing the microwave and a serious trash/recycling pull out cabinet. Since the kitchen was SO dark and closed in with large soffits and chopped up layout, it was really important to the client that we maintain some sight line out of the space. Keeping this original pass through open and removing the louvered shutters created a beautiful connection between the two spaces. We were also able to enlarge the window over the sink, add LED can lights and under counter lighting. All of the new light bounces around the white cabinets and feel so fresh and airy! Window looking into the family room that we designed a few years prior. We touched every corner of this kitchen including a new backdoor that swings out instead of swinging in, and the laundry closet got a major overhaul! Previously, there was no space to hang dry clothes so the doors that didn't fully close were drafted as hanging space and the storage was all open shelves. ALL of this was visible from the family/dining room, which didn't exactly create the design focal point the homeowners wanted to showcase so they kept the kitchen closed off. It may not be glamorous but adding major storage and function to this laundry closet is a game changer. Now, this kitchen is truly the center of this home and by lifting its spirts it's now a place this family actually wants to congregate! The final design is everything they wanted: bright, unique and most importantly functional! Here are some before and after videos for your enjoyment. Don't mind my creepy silence in the "after" video...people were there while I was filming it and I was feeling shy. Dark, closed in and inefficient! Counter space for days, personality and charm! She picked out our looks for our shopping trip. She’s got style for days y’all. Life is so crazy… Am I RIGHT? This awesome design career is really enough to keep two people busy and if you throw in three super cute kids under 4, a fun marriage and great friends there is never a dull moment. This social media life sometimes gets totally pushed to the side in order to live that REAL life that I’ve worked so hard to pull together. I’m fortunate though. I’m living my dream life balancing a career that gives me life and hanging out with the coolest kids in the whole world. (I’m biased but seriously they are the best…). It’s totally crazy and every day looks different. Growing up I watched my dad hustle every day as an entrepreneur, figuring out how to keep it all moving and growing. Never afraid to make a change and definitely never afraid of a late night working. I also noticed something important: if you KILL it for your current customers it will never go unnoticed and soon you’ll have your next…. and your next.. because not everyone in your field is taking care of business. Some days we would go with my dad to visit clients (he fixes sewing machines by the way!) or we would do homework at our shop/store or we would wipe down the machines after he serviced them. It was a family endeavor and it shaped the way I looked at work. Sure you have to work super hard, but you can do it with your family in tow and in the process shape the way THEY look at their future career. Quick break for a bottle in the car… and a cuddly selfie with momma. I’ve always had my own clients as I worked through the years at other design firms with the goal of owning my own design studio. I worked ALL THE TIME and honestly still do but in 2011 I took the big leap and started working on my dream full time. The biggest challenge was to step outside of my introverted comfort zone and talk about MYSELF (**cringe/shiver**) but if people don’t know what you are doing… they don’t know that they should hire you! 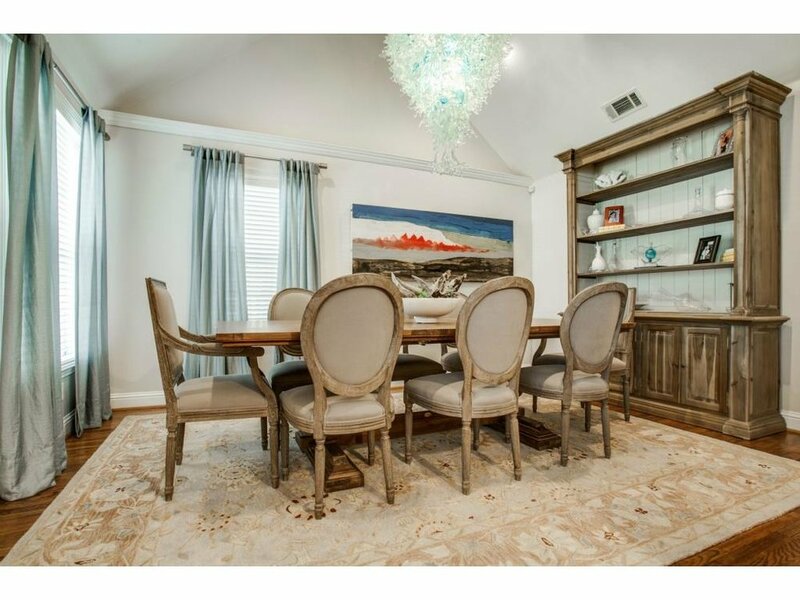 So I went out there with the goal of telling every single person in Dallas “Hi, I’m Bonnie and I am an Interior Designer!” The more I did it, the less awkward I was and I did everything I could to make those new clients happy. Fast forward to now and the work has paid off. I never actually met everyone in Dallas but that’s ok… I don’t actually have enough time to work for everyone anyway. I do have time to dive deep into the handful of projects I take at a time and do the very best. So now you’ll find me around the design center with my youngest in a Baby Bjorn, with my toddler jotting down “notes” on his own clipboard or with my oldest sourcing antique books for an accessorizing day. Or I’m straight hunkered down during nap times or early morning banging out the invoices or any other computer work in my home office. It’s busy and a total balancing act but I couldn’t imagine life any other way. Texture and contrast were the marching orders I gave this design. This stairwell has its all! I've been so lucky to have an amazing builder as one of my clients for the past 10 years! He first hired me to design houses he flipped but has moved on to building gorgeous, solid new construction. While I always love the personal spaces of my clients, sometimes it's fun to imagine a client and design for them, reminds me of my imaginary friends of childhood. For this awesome condo project, I envisioned a young hip person who loves to have friends over but needs the space to speak for itself. No impersonal big box style condo here, thank you very much. 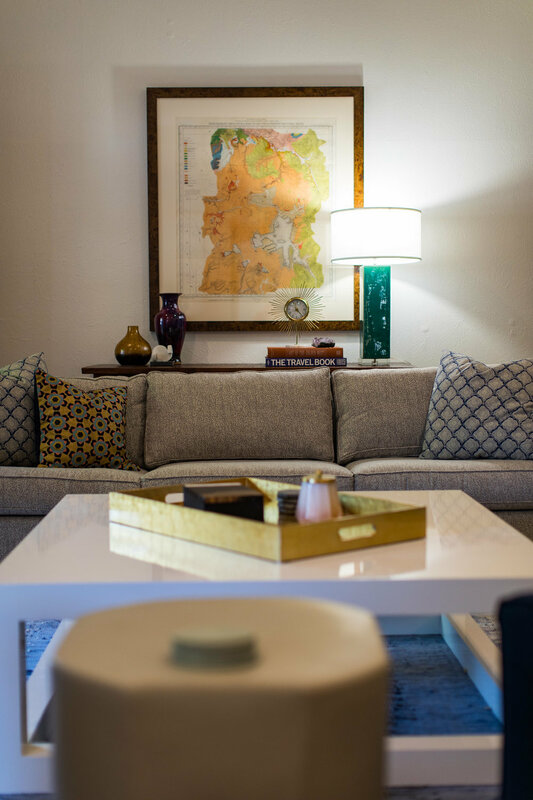 It was really important to me that these spaces felt like "Home" before any furnishings arrived. Not only does it show better when they are listed for sale, but I also want them to be ready for my imaginary client to walk right in, hang their collection of travel art and head over to Henderson Ave for their new Warby Parkers. 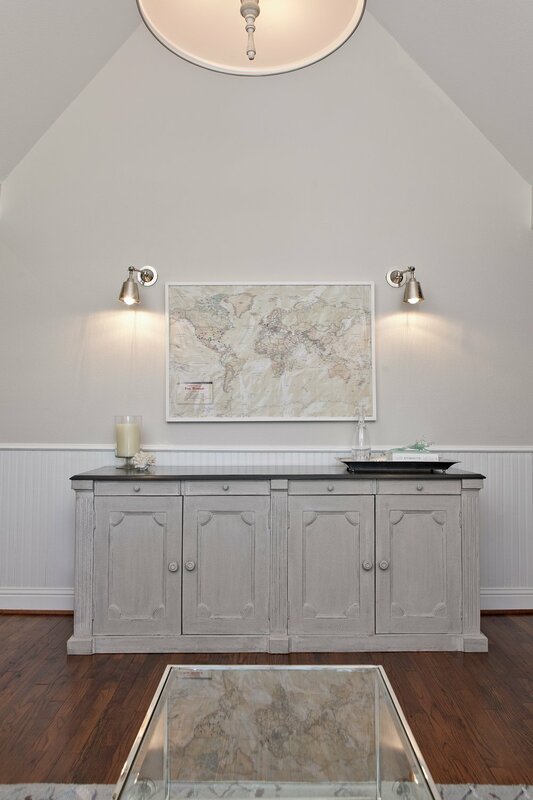 By mixing warm wood tones, bright whites and deep grey the space has so much inherent interest from the contrast alone. 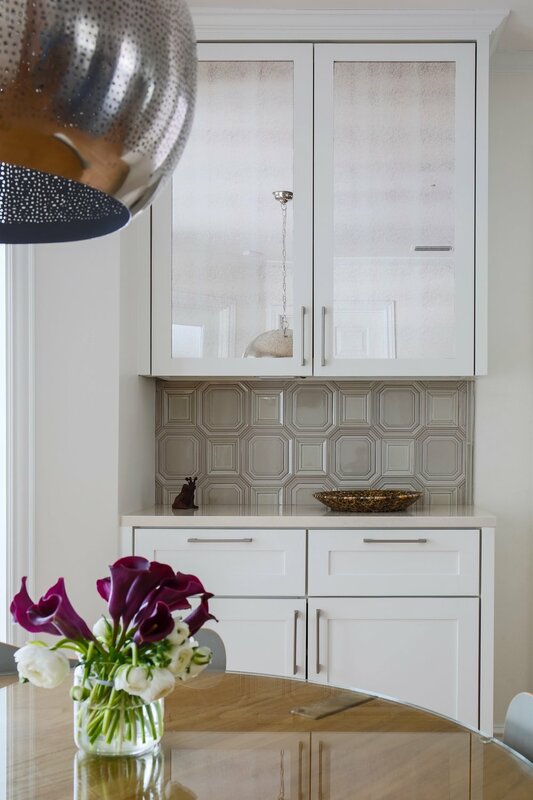 Large scale iron pendants are bold against the killer backsplash and white cabinets. Before we designed the floor plans, we toured all of the new townhouses popping up in the area. I was struck by how so many of the powder baths were a complete after thought. By tucking the toilet area to the side we were able to create a showstopper vanity, visible as you climb the stairs to the main floor. All vanities need light so why not make them awesome? The bathroom spaces have wonderful natural light thanks to clerestory windows coupled with white glass tiles and paint. I love the light fixtures mounted in the mirror! Reflect that light baby! 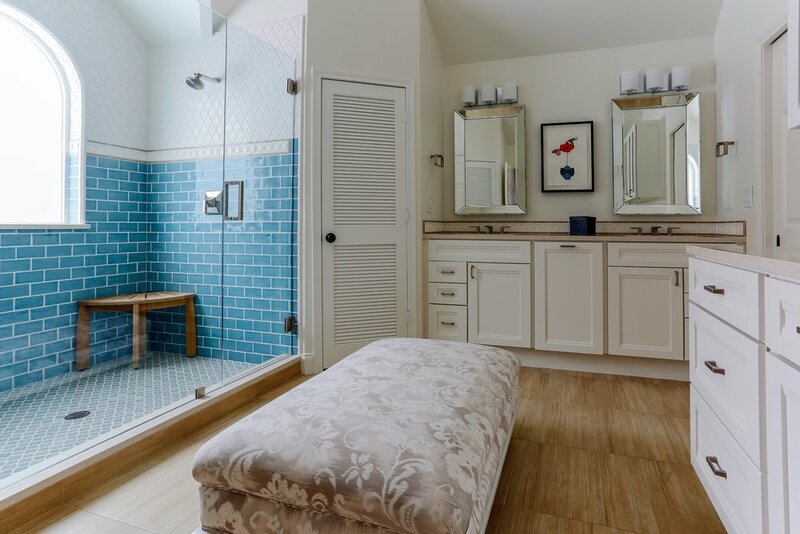 Every inch of space was thoughtfully designed so this compact bathroom feels open and bright. We kept the exterior mostly simple white siding but created a vertical accent of gorgeous grey brick and cedar boxed windows. Simple white siding is contrasted with dark brick , natural cedar and metal accents. Once upon a time there was a kitchen that at first glance had some pretty details but after further inspection you noticed that they weren’t installed great and the storage is so inefficient you can’t understand why they even bothered. The sink was cooped up on a weird angled counter that was mirrored on the opposite side of the space. The location of the appliances were placed without concern to work flow, and the pantry was so big it created an abyss for lost snacks. This awesome couple loves to entertain and the kitchen was always at the hub of activity so they needed an update that could give them efficiency and show off their awesome taste! We took everything out to start fresh on layout and design. First task on the agenda was getting the work flow functioning by reworking the location of almost everything! We had to get the sink out of the timeout corner so clean up wouldn’t feel like punishment but we needed more space on that wall to consolidate all the plumbed appliances! Goodbye wall ovens and walled-in pantry! If you can eliminate those pesky interior walls in a kitchen you will really be surprised how much space you’ll gain! With those elements in place, we turned attention to the cooktop and ovens. Major cooking can go down on the 6-burner stove with integrated double ovens and takes up way less space! 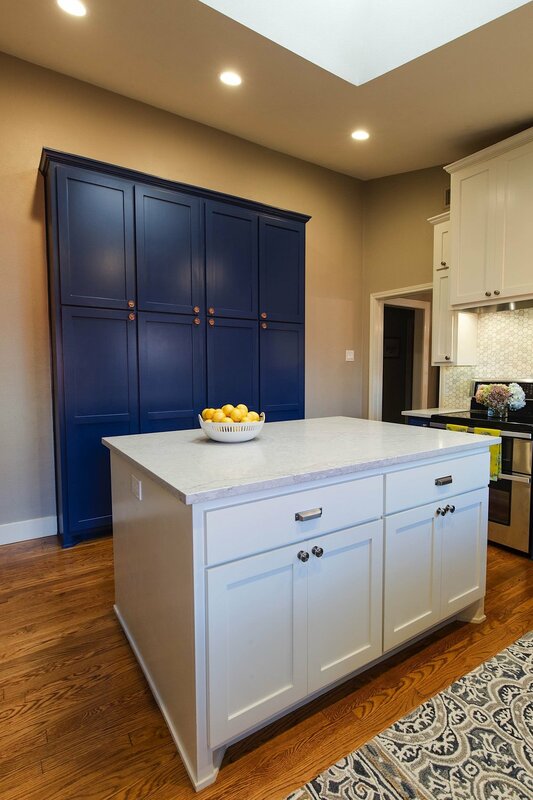 These changes not only improved how the space would work, but it also allowed us to scale up the size of the island so you could put a major spread out for your guests. AFTER: all the details play nicely now and the texture and color draw you in. After we hashed out the layout update it was time to delve into the decorative elements. 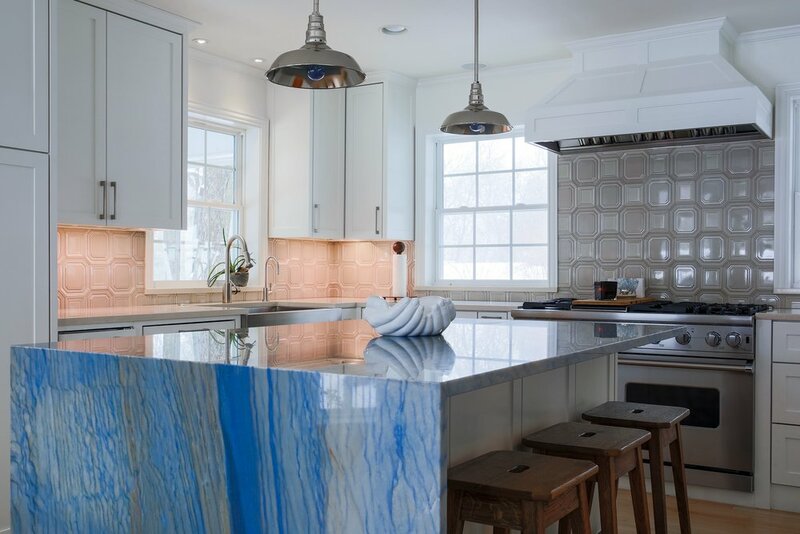 One half of this duo wanted the backsplash to be the show stopper while the other half fell absolutely in love with this epic blue stone and neither wanted their overall space to feel busy or boring! We all agreed that we could make it all work if we pushed the island over the top by waterfalling the epic stone over the edge and using this great dimensional warm grey backsplash for balance. In the end it’s so cohesive and balanced with neither element outshining the other. Finally we created a small counter space adjacent to the breakfast room and the door from the garage. It’s always great to have a place to drop your keys and serve as storage for odds and ends that is OFF the kitchen work surfaces and dining table. The antique mirrored uppers reflect all the beautiful light from the bay windows and the perfectly laid out tile gives warmth and texture. The right space to mix up a sophisticated cocktail. When a couple of crazy kids look for their first home together and are forward thinking enough to call in design reinforcements before they sign away their life on a mortgage, really great things can happen! That’s the story of this East Dallas cottage design. This couple enlisted my assistance to help them narrow the field of potential properties with their lifestyle and taste in mind. The vibe was just right in this space with its soaring ceilings and comfortable layout. We started with a fresh coat of paint, new light fixtures and gutting the bathrooms to make them really special. The front two rooms were the first challenge. The original homeowner had the space laid out with the smaller square room as the dining area but, due to its size, would really only accommodate 4 people. This couple has an extensive friend pool and that just wouldn't cut it. So we swapped the formal dining and living spaces to make way for a minimum of 8 and then created a cozy cocktail lounge in the smaller room. Just a simple flip made all the difference! Now we were ready to start hashing out furniture selections. For the cocktail lounge, we hung the clients’ existing photo series from the talented Andrew Slaton over the settee and a custom travel map over the bar. One day, while checking the mail, they found a handwritten note and photograph of their home when it was first built that was left for them by a previous homeowner! We knew we had to add that photograph to the conversation starting decor in the space. This amazing triptych is a one second frame by frame of an epic wave crash in the Pacific Northwest. When framing the photo of their home from its 1920 heyday, I wanted it to feel really special! Give it extra matte and sleek black frame created a sense of importance. In the dining room they loved the idea of commissioning custom art for the space. They had also just visited a Chihuly glass exhibit and fell IN LOVE with the idea of a sculptural glass light fixture. In order to let those elements really shine, we kept the rest of the selections neutral and warmed it up with a soft rug and complimentary drapery panels. The custom glass fixture came boxed on a pallet with each piece of glass individually wrapped from the glass blower in Austin. Over a few bottles of wine we put it all together! Then it was time to tackle the family room! The goal with space was to create a cozy place to unwind at the end of each day with their two choco's (aka the sweetest chocolate labs!) When selecting the fabric color on the sofa I followed those sweet pups around with my fabric swatches to find out which shade would actually disguise their locks! Turns out chocolate labs are really more of a warm grey brown! Who knew? This crazy designer... that’s who! We also had a wood burning fireplace and custom bench storage installed along the feature wall as the finishing touch. Using the homeowner’s guitar as decor coupled with the gallery wall of personal photographs showcases their personalities. The original layout for this space was so chopped up and inefficient. With a massive nook for a whirlpool tub that nobody ever had time to use, an incredibly dark closet sized shower, two very small vanities and almost no additional storage it’s not the best way to start and end your day when you are busy with career, family and competitive hobbies! 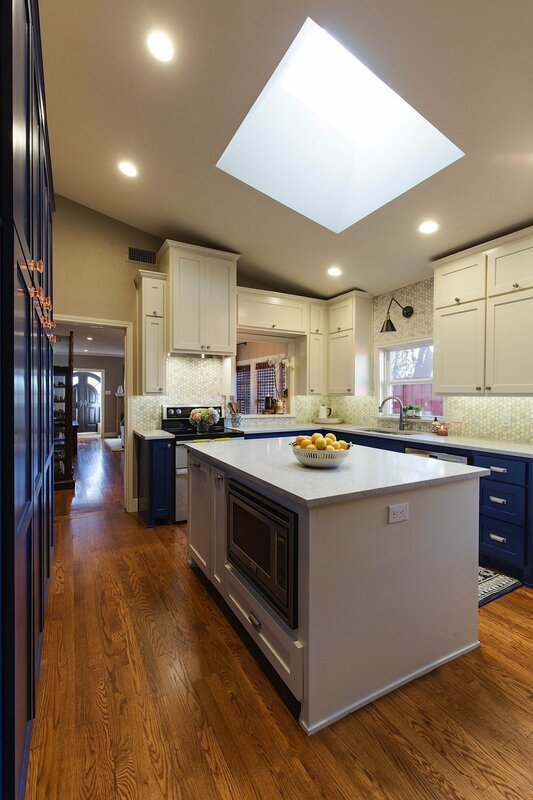 Luckily the existing ceiling is the stuff dreams are made of, so we started this remodel by reworking the floorpan and a trip to the trade center to source gorgeous tile and an epic light fixture. This couple had a clear point of view for the space and I loved every second of ushering them from vision to reality. 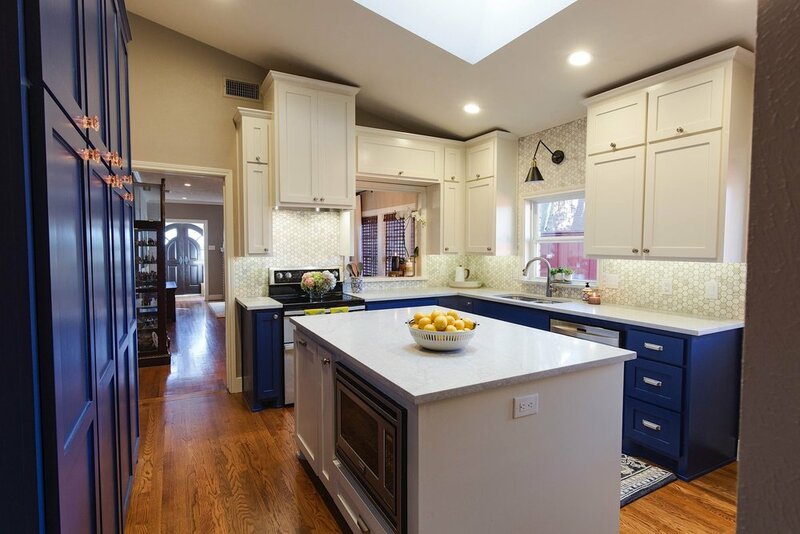 Creating a functional space was at the forefront of this remodel. We kicked the soaking tub to the curb in favor of an incredible two person shower. With attention to scale and detail we mixed the patterns, color and textures for the shower’s tile selections in order to make the space so eye catching and a refreshing reflection of these art collectors’ design aesthetic. I love the way the arched window streams in the soft natural light. By removing the soaking tub, we opened up amazing space for a spa shower! A huge change for this bath was consolidating the vanity situation. The separate sinks created a chopped up layout for the rest of the space and the counter space was almost non existent. By pulling them together there is actually space to set up a quick glam routine! We also carried the accent materials from the shower onto the wall as a small decorative backsplash for a little extra interest on this neutral wall. Guys, cool art always makes a space! Serious storage and counter space isn’t just for the kitchen! The original closet door was smack dab in the middle of this wall but by moving it over we creating a storage center and extra counter space. The mirrored upper cabinets reflect all that morning light from the shower’s window and serve as the final spot to check your look on the way out the door. The transformation in this space hit on all of the goals: 1) functional layout so two people can get ready and out the door without running into each other? CHECK! 2) refreshing and beautiful so the day can start inspired? CHECK! 3) a place for everything and everything in its place? DOUBLE CHECK! Time to conquer the day guys… go get ‘em.